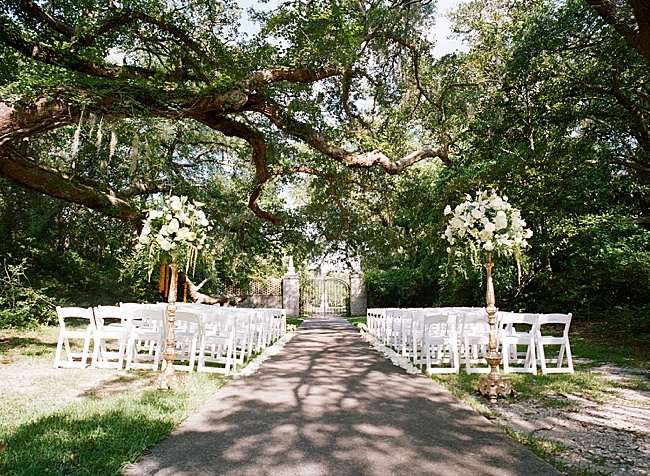 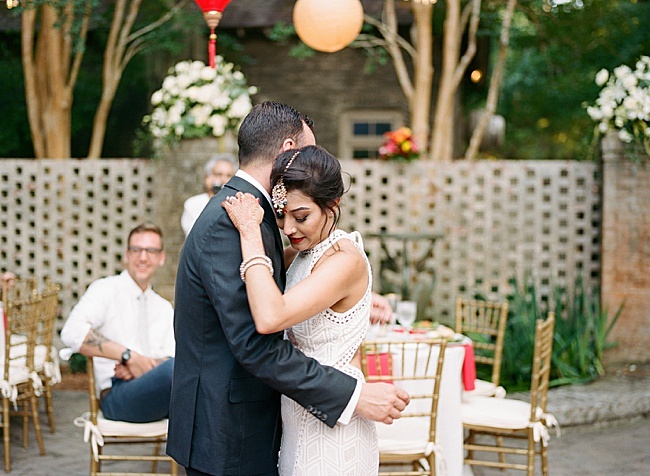 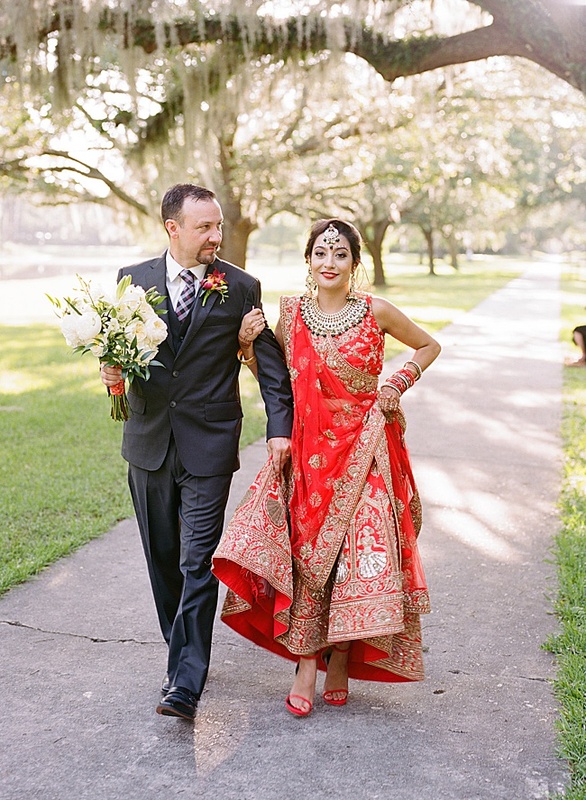 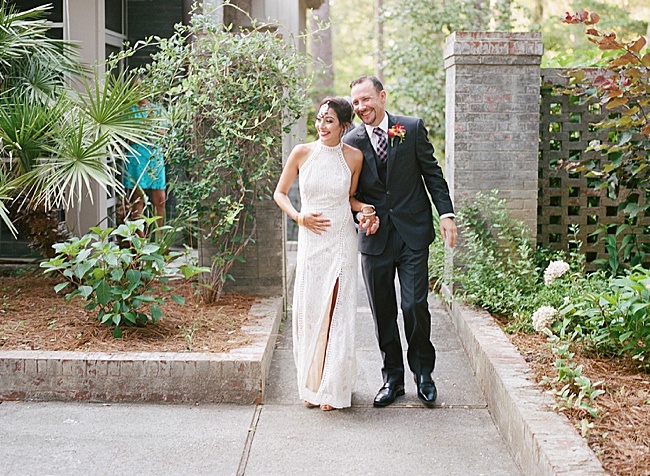 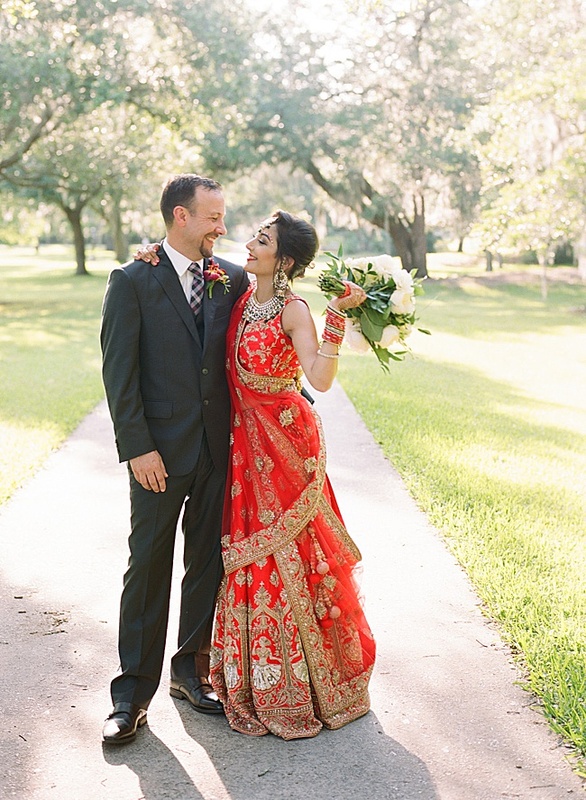 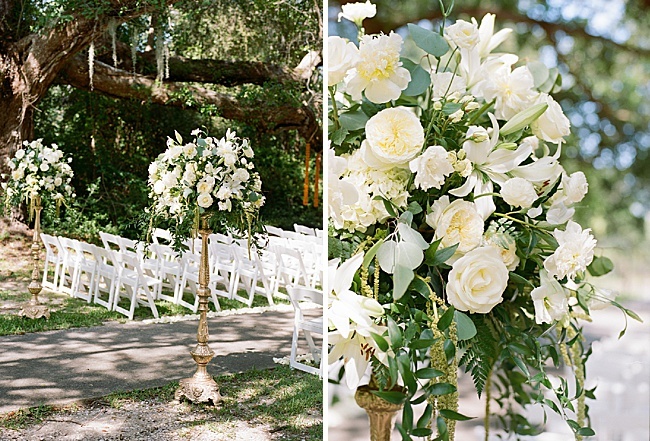 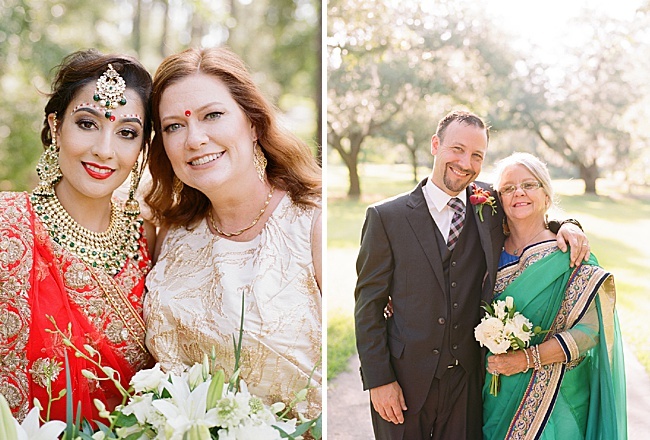 There is something so romantic about a Brookgreen Gardens big day, and Shweta and BR’s was no exception. 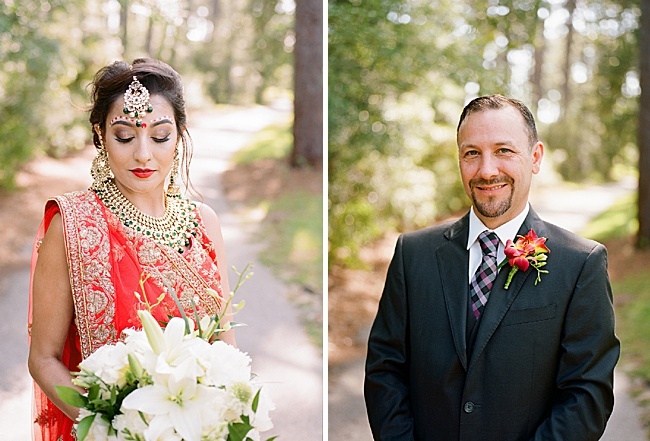 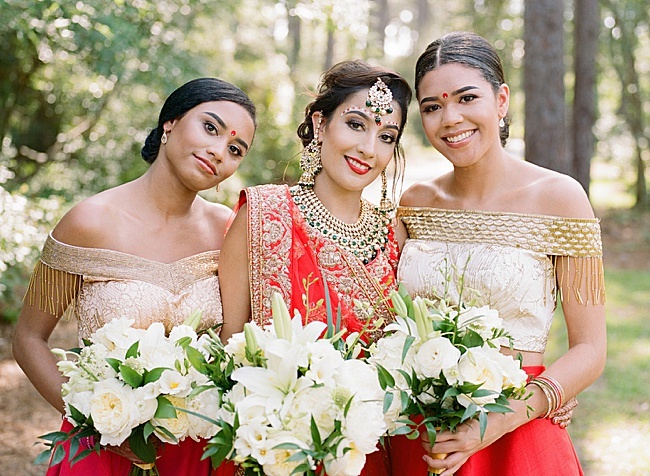 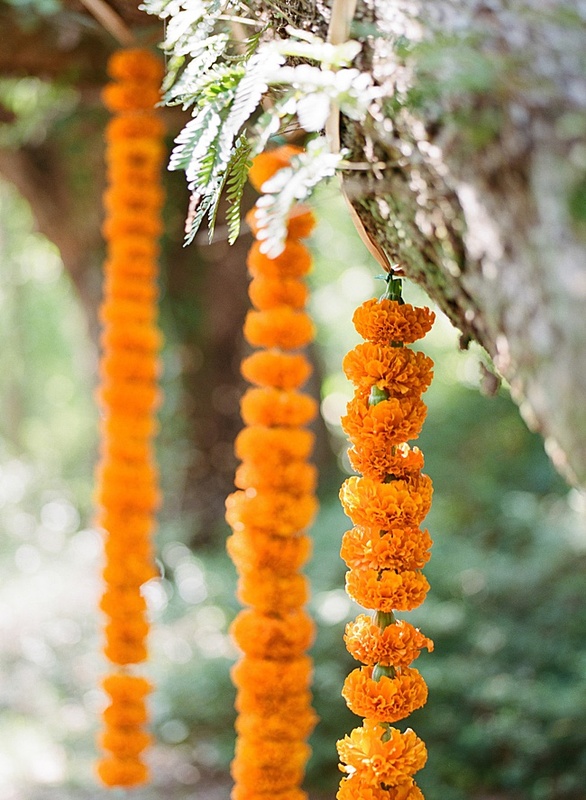 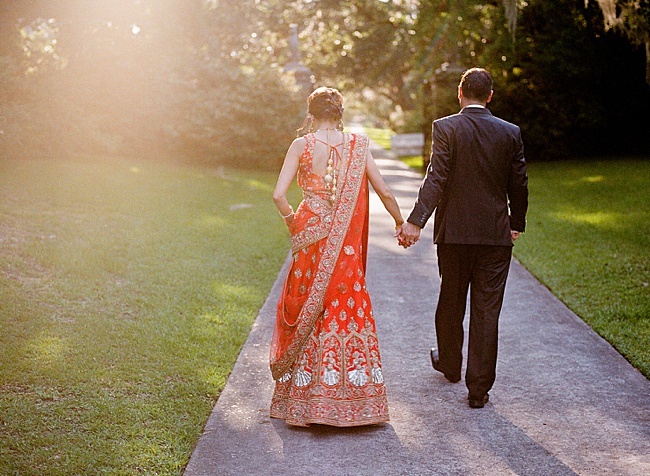 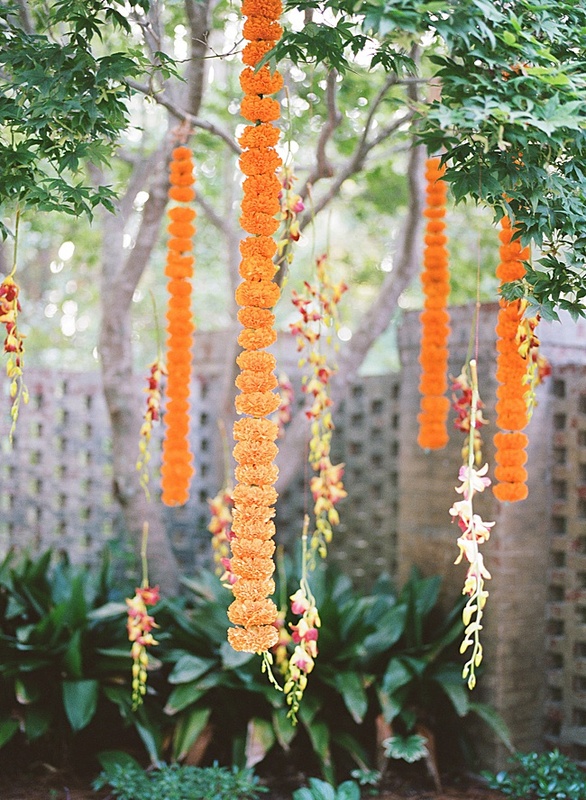 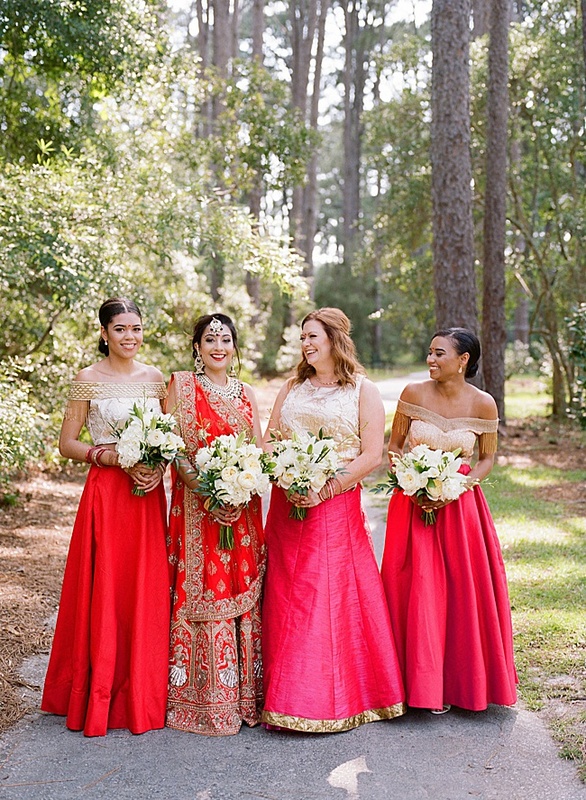 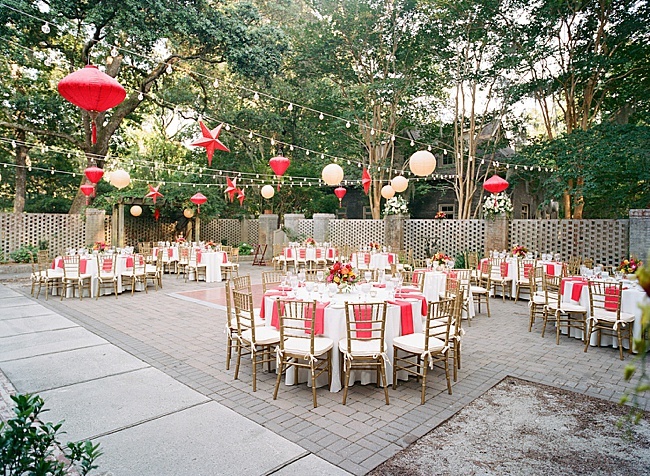 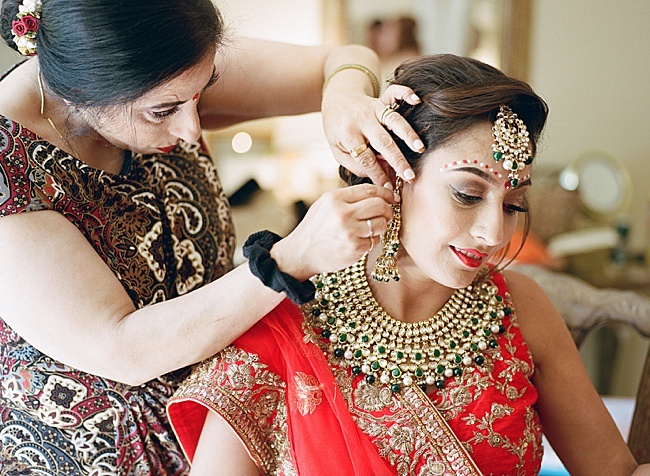 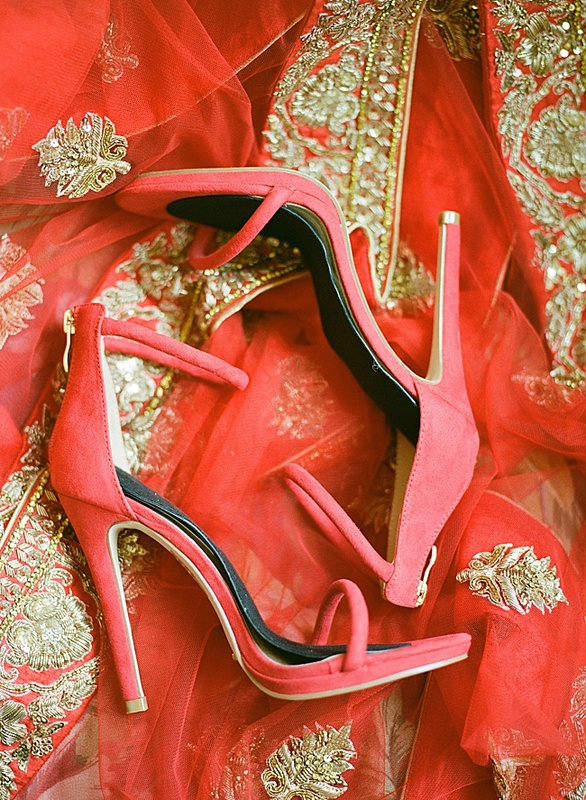 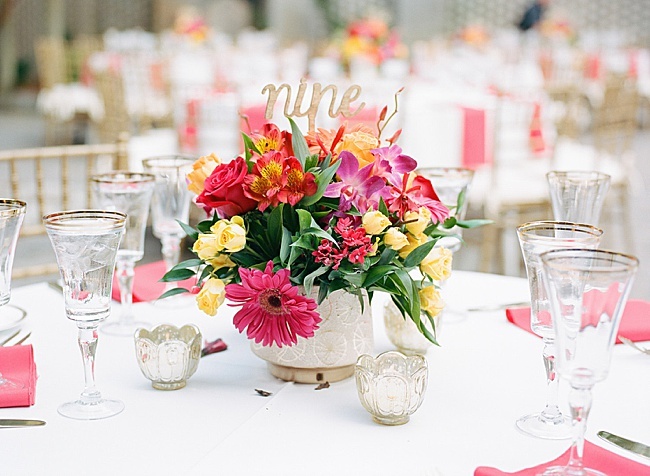 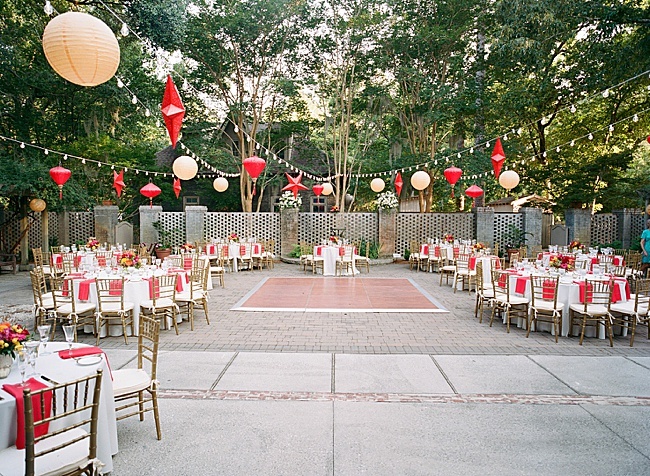 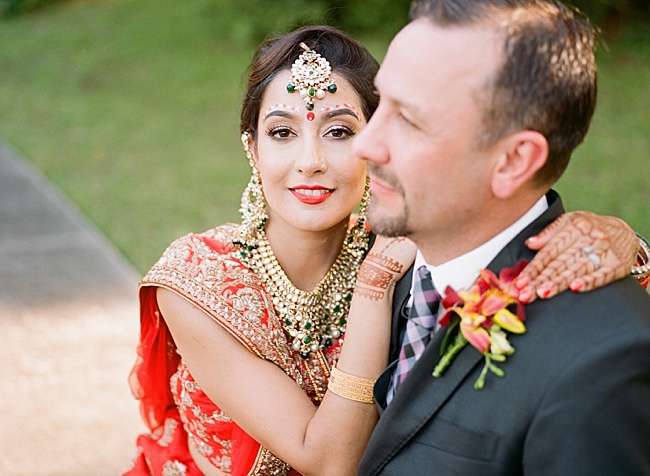 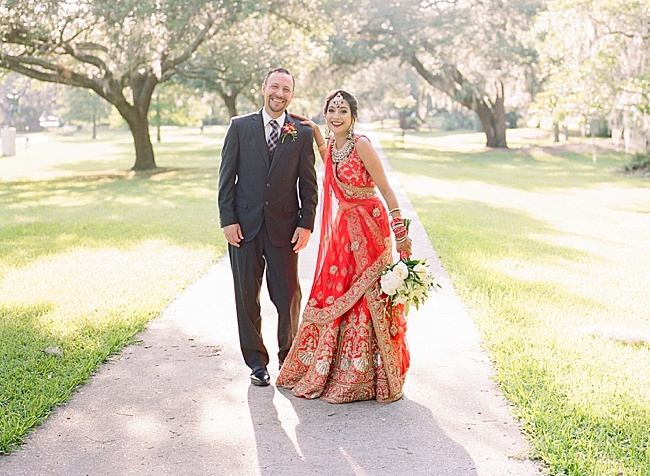 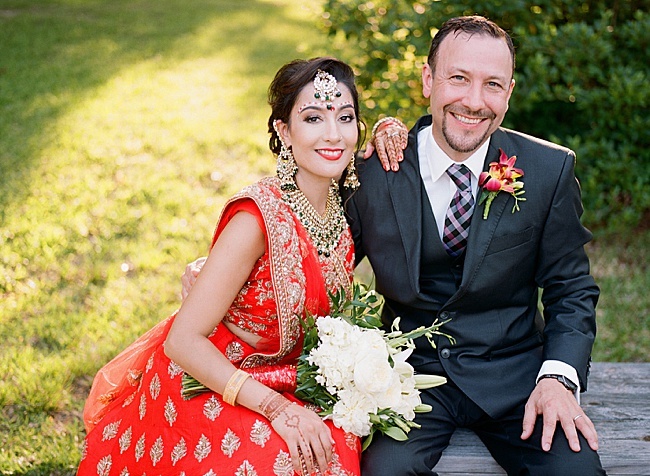 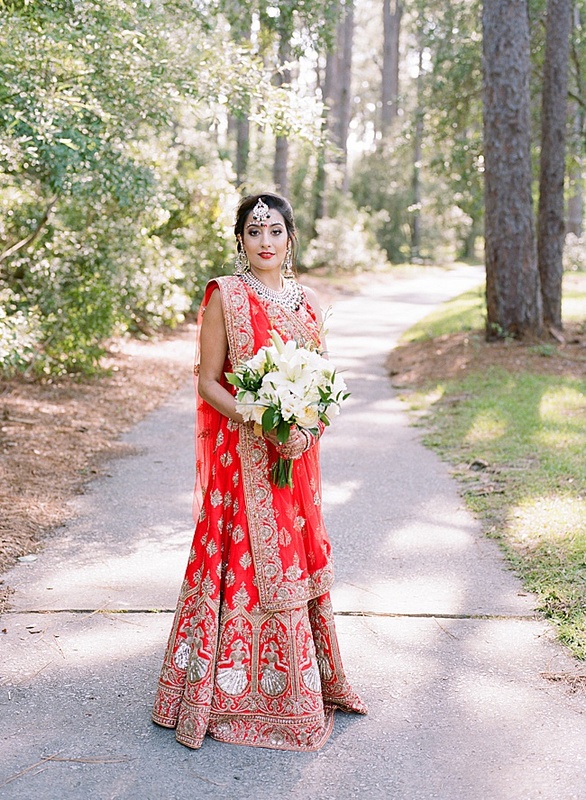 The Indian wedding featured gorgeous bright colors that popped against the venue’s natural beauty. 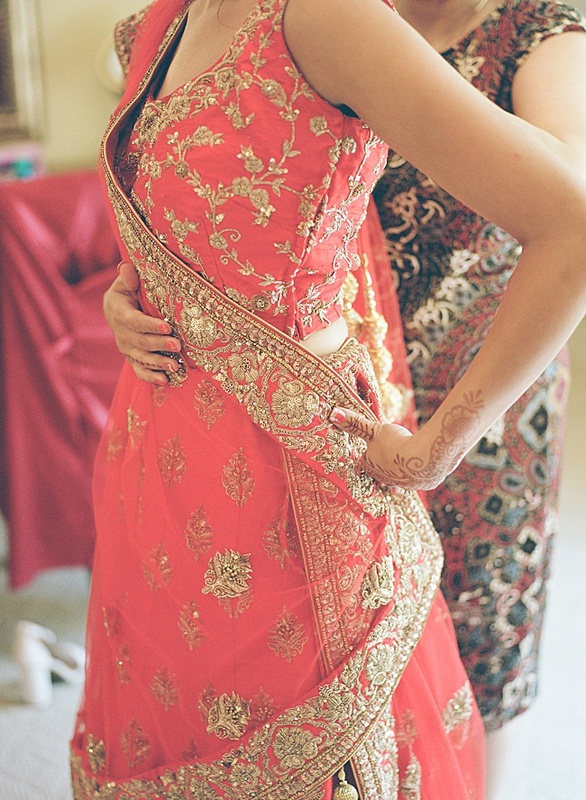 The bride wore a traditional red sari, which took her cousin about an hour and a half to get her into. 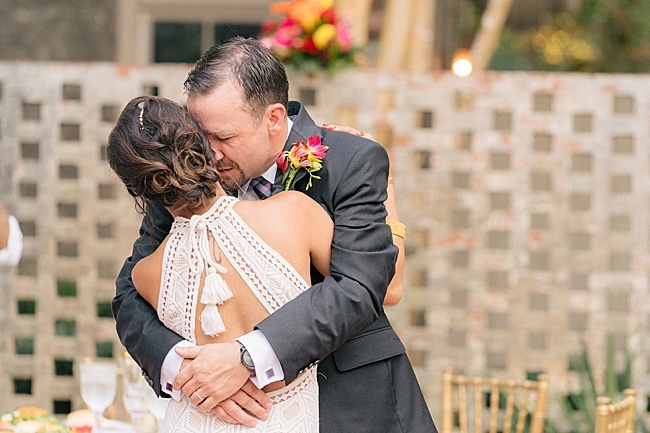 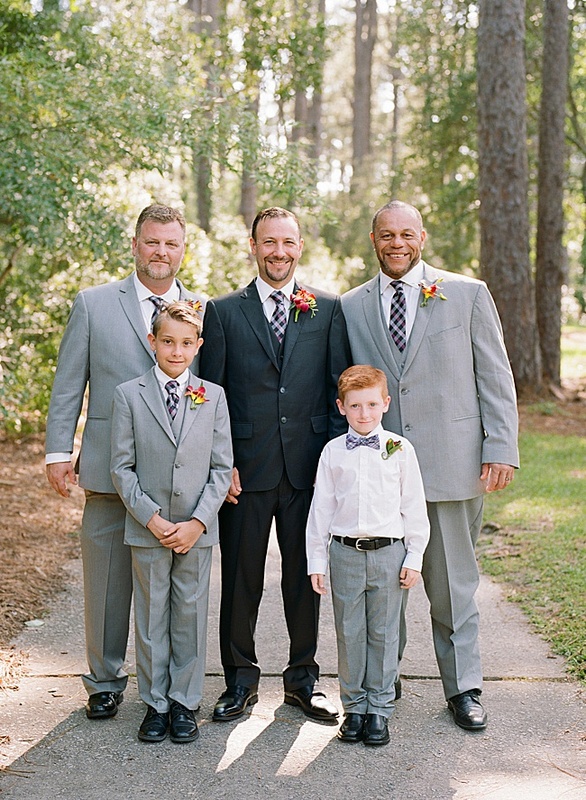 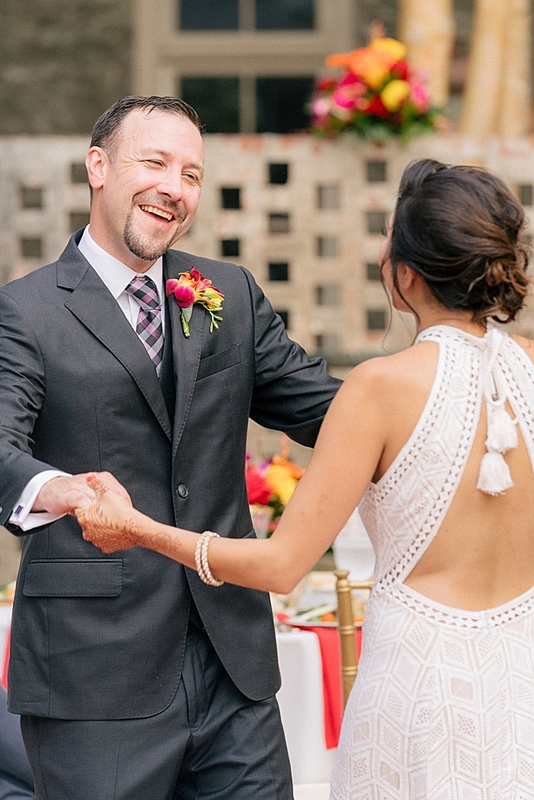 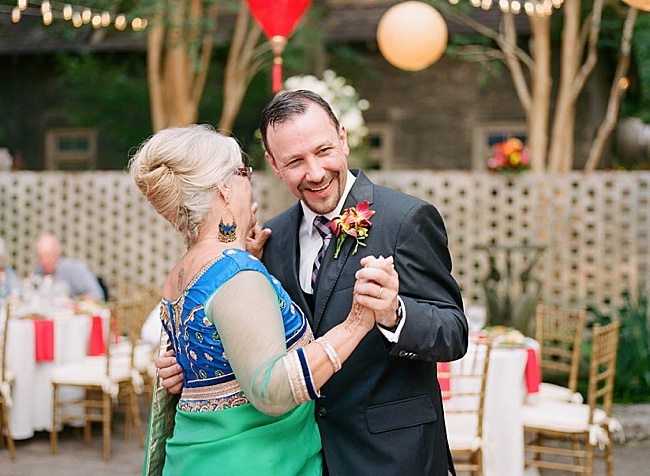 Gillian Claire Photography captured the special moments. 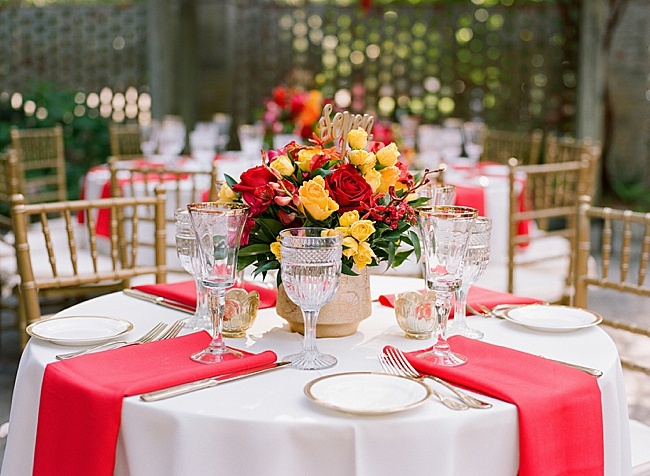 The wedding was planned by Events on the Half Shell and the beautiful red, orange and yellow florals were created by Callas Florist. 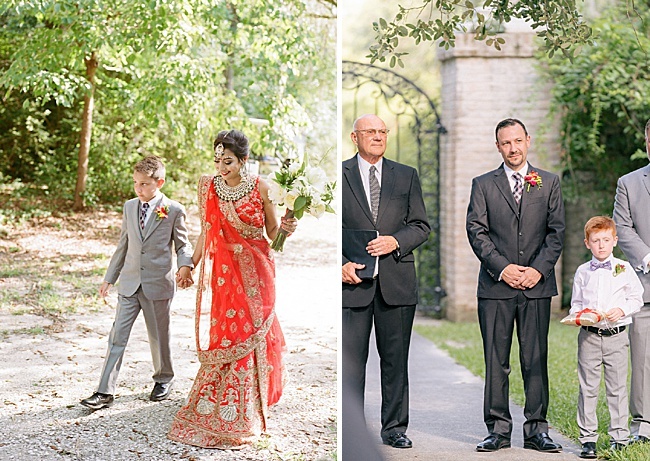 The couple’s son walked Shweta down the aisle in front of all their closest family and friends. 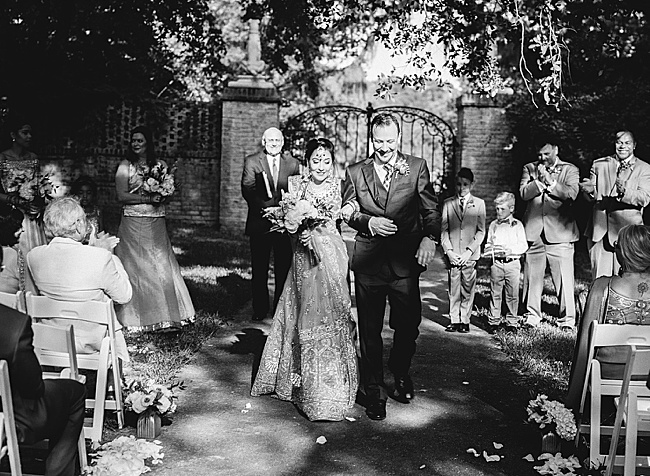 It was a perfect day.